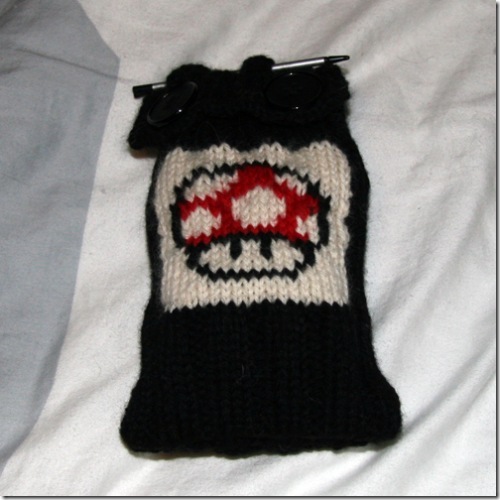 A case for my husband's Nintendo DS. Originally the DS itself was supposed to go in the case, and there are three little pockets on the back to hold games. But the game collection has grown and now all the games just get stored inside it and the DS goes naked.